All Season Pest Control is big enough to promptly respond to your needs but small enough to provide excellent customer solutions without compromise. Unlike many of the franchises you may be tempted to call, we will not up-sell you or coerce you into a monthly contract. We take pride in our outstanding reputation and work diligently to gain your trust and retain your loyalty through our care, competency, and thoroughness in treating your pest problem safely and effectively. From the moment you pick up the phone and speak with one of our seasoned professionals, you will understand why we have been in business, based solely on word of mouth, for the past 40 years! 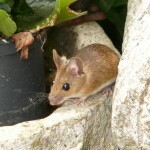 We are available to promptly solve your pest control problems. When we say we’re local, we really are! In order to provide the very best customer service, we have chosen to only serve the New Jersey counties of Warren, Morris, Sussex and Hunterdon. 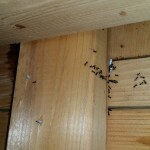 All Seasons Pest Control specialists will effectively and safely treat your home and protect it from unwanted pests. And with 40 years of experience, we’re experts at the proper, safe methods of selecting and applying all treatments. Our Total Pest Management (TPM) approach means that we look into any and all culprits that may be at work in causing your pest control issue. We now also offer the option of Green Pest Control Management solutions. Until recent, Green Pest Control solutions were less than effective but nowadays solutions exist that are just if not more effective than traditional pesticides. Ask us about our Green Pest Control Management. Many times, we are called in once a pest problem already exists, and we love to help! However, after an initial treatment, we also offer preventative solutions to help eliminate the long-term risk of pest problems. If you are interested in our preventative care services, one of our professionals can assist you in determining the proper strategic plan to help control pests indefinitely and may include ongoing service customized for the property or an annual inspection. To learn more, call to speak to one of our professionals. We understand that pests are cause for concern to the safety and well being of your largest investment, your property and those that live there. 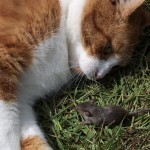 Will a Cat Keep Mice Away? Where did these mice come from?